The University of Nebraska–Lincoln, chartered in 1869, is an educational institution of international stature. UNL is listed by the Carnegie Foundation within the “Research Universities (very high research activity)” category. UNL is a land-grant university and a member of the Association of Public and Land-grant Universities (APLU). The university is accredited by the Higher Learning Commission of the North Central Association of Colleges and Schools. 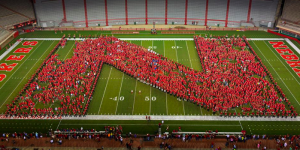 UNL celebrated the 145th anniversary of its founding on Feb. 15, 2014. There is no university in the country like Creighton University in terms of size, the array of professional and graduate programs offered, and the strong commitment to Catholic and Jesuit ideals and values. Founded in 1878 and one of 28 Jesuit colleges and universities in the United States, Creighton is a vibrant and diverse learning community. The University is located in Omaha, Neb. 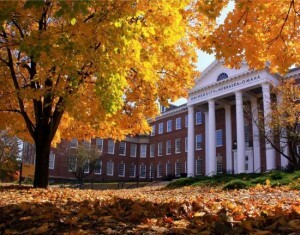 Nationally recognized for providing a challenging and balanced educational experience, the University offers a rigorous academic agenda with a broad range of disciplines, providing more than 7,700 undergraduate, graduate and professional students with degree programs that emphasize education of the whole person — academically, socially and spiritually.